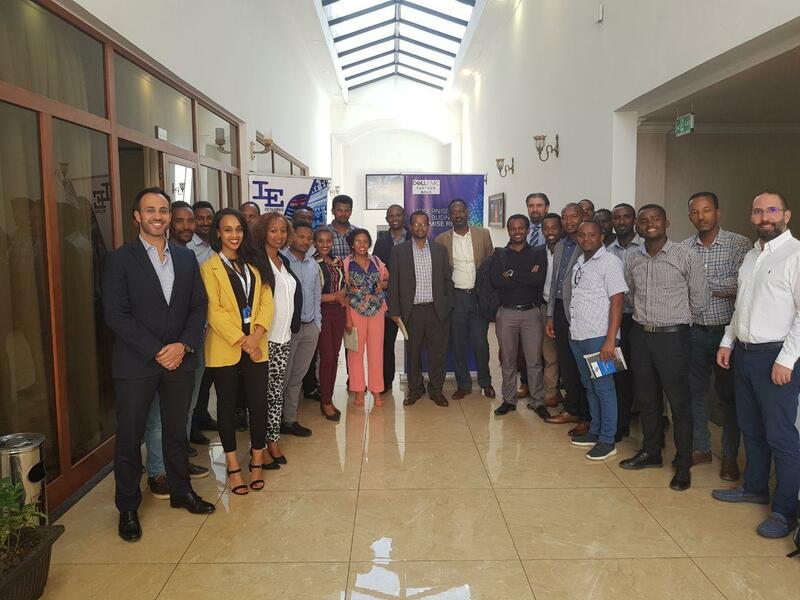 The event was held on 26th March 2019 at the Sapphire Hotel to introduce the broad portfolio of Dell Technology solutions. And First our Thanks are extended to all the Financial and Government sectors attendees and for those who support the event to make it happen. Mr. Amanuel Wubie, Nelson Catanho and Bernard Wanjau were the featured speakers from IE and Dell EMC respectively. This shared overall business introduction about Dell EMC solution and it has created awareness about the solutions with in the attendees. Mr. Amanuel Wubie made the introductory on IE Network Solutions, about our competitive advantage in the market, experience in the business and our future road map. Then Mr. Nelson has explained about Dell EMC solutions how they will address a customer need on their Digital transformation road map. And how to modernize their IT infrastructure with Dell Technologies. Mr. Bernard has explained how to Accelerate and Secure your applications on Dell EMC Power edge Server. Over all, the event went as it planned We conducted our leads by asking all the existing customers using formal feedback form and friendly at the closure, we can say it was very valuable for both new and existing companies that show us to expand our networking through IT Transformation, Combining leading infrastructure, data storage, hybrid cloud and data analyst.